Preserve the life of your paint roller covers with Roller EZ-Kleen by NewLook, a must-have paint roller cleaning tool for all contractors. 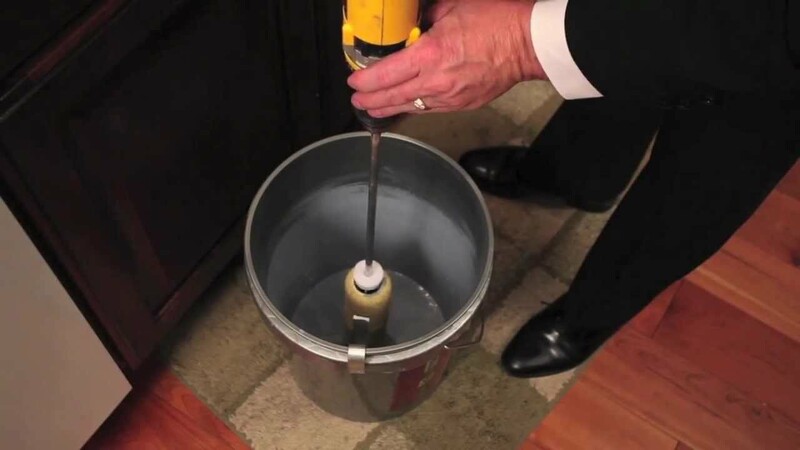 Simply attach Roller EZ-Kleen to a drill, slip your roller cover onto the other end of Roller EZ-Kleen, and then spin the soiled paint cover in a bucket to quickly remove the paint. Until now, cleaning a paint roller was a painful inconvenient. Paint roller covers and paint roller cleaner can be expensive, at least the decent ones are not cheap. And most paint projects require multiple paint roller covers. You could use one of those hard-to-use paint roller cover scrappers to scrape some (but not all) of the paint off of a soiled paint roller cover. And those other bulky, clunky metal paint roller cleaner spinner devices are very awkward and difficult to handle without getting paint everywhere. That paint roller cleaner spinner may try to use centrifugal force from a pushing-spinning motion. But they are very ineffective. There must be a better way to clean paint or concrete sealer from off a paint roller cover! There is a BETTER way! The Roller EZ-Kleen by NewLook is a simple, yet highly effective paint roller cleaner. 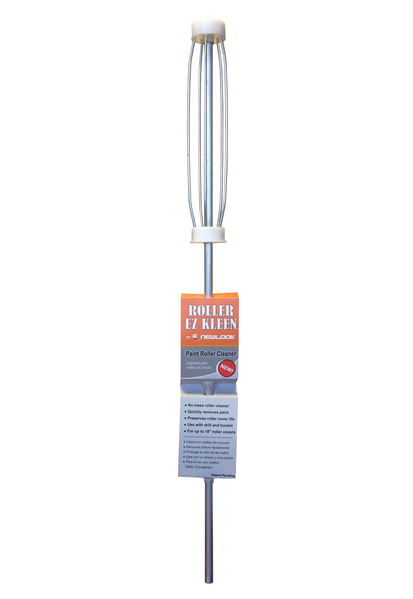 You simply attach the highly durable aluminum shaft to an electric drill. Slide the soiled roller cover onto the unit. Then spin it in a bucket. That’s it! Roller EZ-Kleen spins faster than any paint roller cleaner spinner ever could. The centrifugal force causes the paint or concrete sealer to spin​ off the paint roller, leaving your roller cover totally clean and ready to use again. 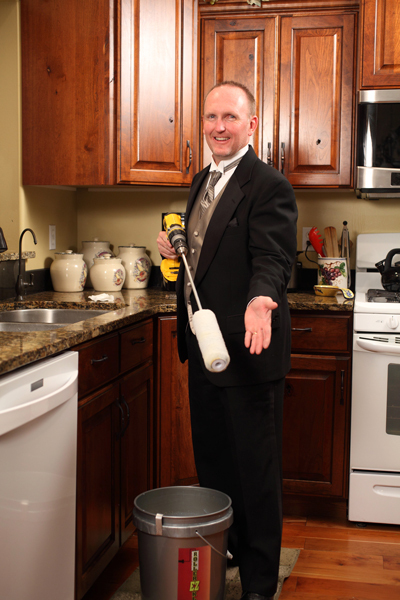 Use Roller EZ-Kleen to preserve the useful life of your expensive roller covers!